I'm of course joking with the title. Everything here was at the Machiya was wonderful and will definitely stay again, unless it's fully booked. Which i'm afraid may be the case as more people discover this hidden gem. 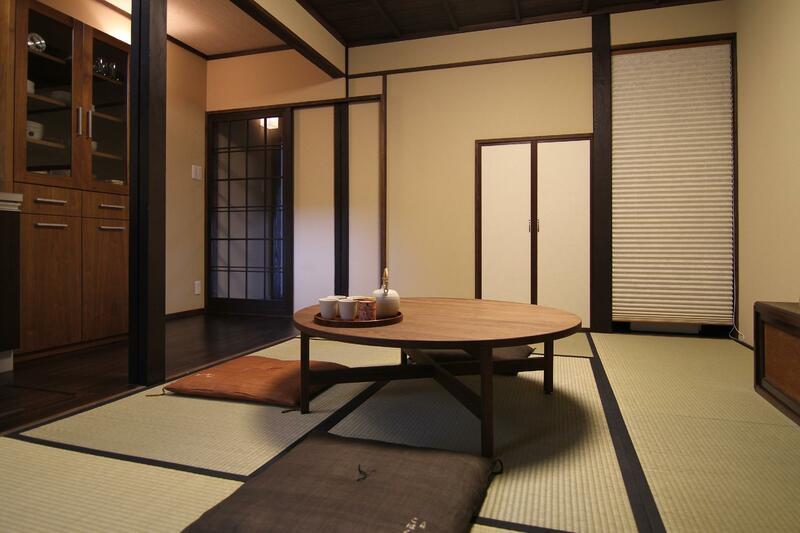 We had a great stay in Kyoto, and staying in this house was better then a hotel. Location maybe not be too central, but it is nice to be in a quiet neighborhood. The people who manage the house looked after us well, and everyone spoke great english - so no challenges. In the house you are close to bus & train stopps, so still very accessible, and shops nearby - including a great bakery! We were absolutely delighted with every aspect of the accommodation with the bonus of a small outside Japanese garden area enjoyed from the living, bathroom or porch areas. The steep stairs were not the best for our 2 year old but this is the perfect stAy for 2 couples or a family with older children. beautiful traditional furnishings with all the modern conveniences. checking in to this gorgeous traditional townhouse we were greeted in person by the super friendly staff who gave us a tour of the house and went through all the information about the surrounding area with us. the inn is beautifully furnished in the traditional way, including a small garden way, but still has all the mod cons. the inn is located only a few mins walk to the jr station/ private line. the jr line can take you into kyoto or out to nara and the private line can take you to gion and other shopping districts. there are 2 temples within easy walking distance to the south and we found the locals to be very friendly and helpful. i would recommend saying here to anyone, i would stay here again without question. location slightly deceptive - house opens on to a main road with 'chirping' cross walk very close by, but this did not detract from our stay. house lovely and cosy and access to owners lap-top big bonus for the kids. Very interesting stay. The inn is located right in the middle of the most famous temples, so basically you can walk to all the sites. The rooms are well equipped and service is good. The hotel restaurant is expensive but offers a very authentic dinning experience.